The Vivien Sheriff Collection reflects the very best of British creativity and design coupled with the outstanding skills of a team dedicated to their craft. 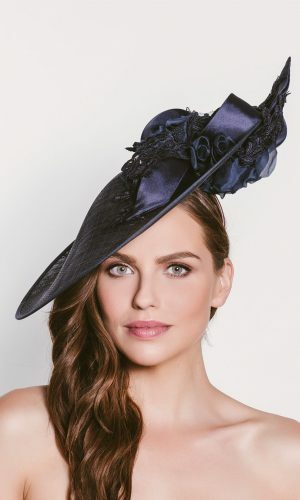 The Vivien Sheriff team specialise in colour matching and work closely with us to create wonderful hats and fascinators to complement our collections. Vivien also designs the hats and fascinators for the renowned Mother of the Bride and Groom collection John Charles. These are featured on the John Charles collection page. The Vivien Sheriff collection is completely designed and made in Wiltshire in the UK by a small team of highly skilled milliners. This is reflected in the stunning creations that are produced to the highest standards using only the finest fabrics feathers and trims available. 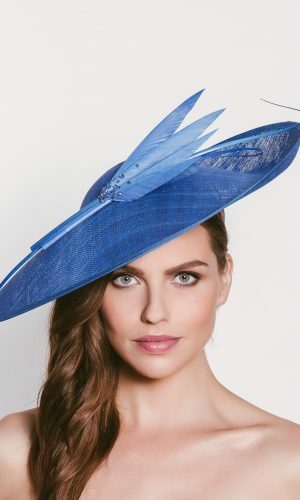 The brand has become increasingly sought after since the Royal wedding in 2011 as many of Vivien’s hats were worn by family and guests. Her designs are sold around the globe in prestigious department stores and boutiques we feel privileged to have carried the collection for many years.